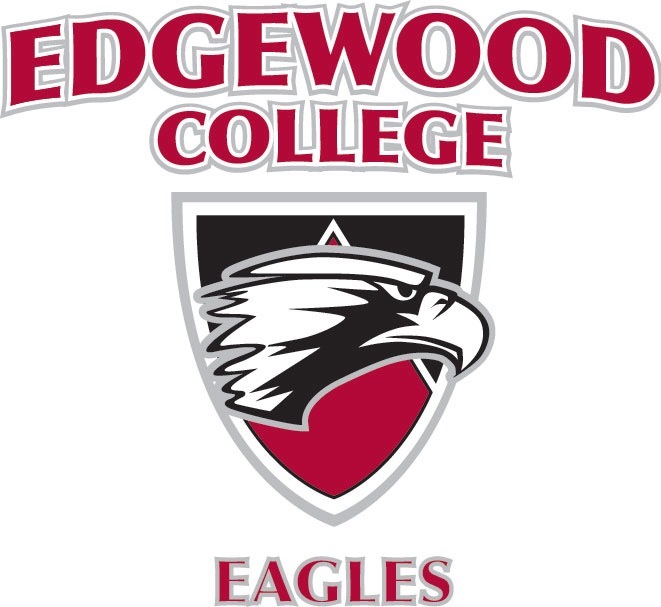 Karley Gassman Commits to Edgewood College! Rockford Heat would like to congratulate Karley Gassman(Durand High) on giving her verbal commitment to accept an academic scholarship to play basketball for Edgewood College! Karley has been working hard in the off season to sharpen her game, her season high is 23pts and continues to chip in good numbers for her team. Karley is looking to pursue a major in Nursing while playing basketball! All Rockford Heat coaches, players, and fans are proud of you! Keep up the hard work! Shamara Glover Hits 1000th Point! Shout out to Shamara Glover(Guilford High) for scoring her 1000th point the other night! Shamara has been working hard in the off season to sharpen her game and it is paying off. Shamara is leading her team while scoring 20pts per game so far this season. Shamara is still unsigned, if any colleges would like more information please contact me. 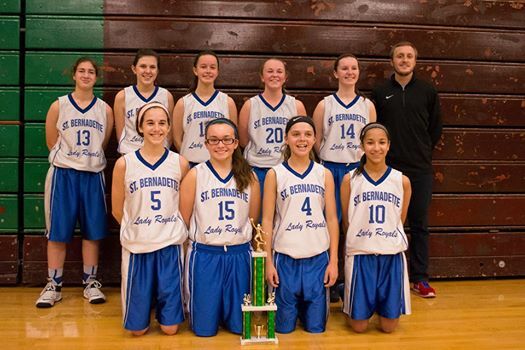 St. Bernadettes Takes Championship Game! 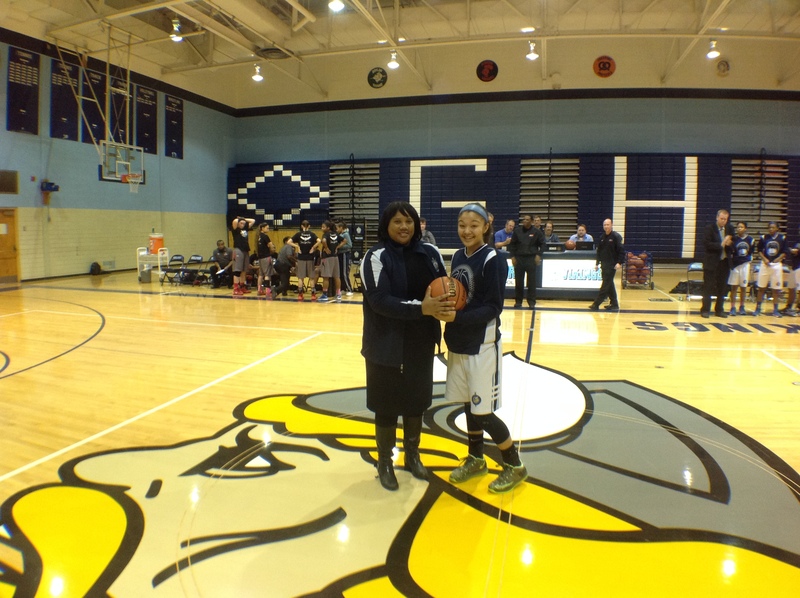 Shout out to Frankie Schiro and the St. Bernadette team for taking the championship game yesterday in the St. Bernadette’s Snow Ball Tourney! Frankie lead the team with an aggressive offensive and defensive game to help lead them to victory! Keep up the hard work ladies! 8th Grade Lady Saders Play Well Down State! Shout out to the Hannah Malcombson and the Lutheran 8th grade ladies for taking 2nd place this weekend at the 19th Annual Cougar Classic down state! Hannah helped lead her team with a strong offensive attack and also gained some recognition by being selected to the All Tourney Team! Great work Hannah and the Lady Saders! Great job coaches and keep up the hard work ladies! Jayla Penney is Subway Athlete of the Month! Shout out to Jayla Penney for being named Subway Athlete of the Month! Jayla has been helping the Royal Lions to a winning season while averaging 18 points a game! Jayla(Clarke University Commit) has worked very hard in the off season and is showing it on the court! Keep up the hard work and good luck to the Lady Royal Lions on a strong finish this season! Kayla Steward Named Athlete of the Week! Shout out to Kayla Steward for being selected as Channel 13 News Athlete of the Week! Kayla has worked hard and it is showing on the court, Kayla(Eastern IL commit) has had multiple games in the double digits this season while leading the Titans to many victories and continues to dominate in the NIC 10! Keep up the hard work Kayla! 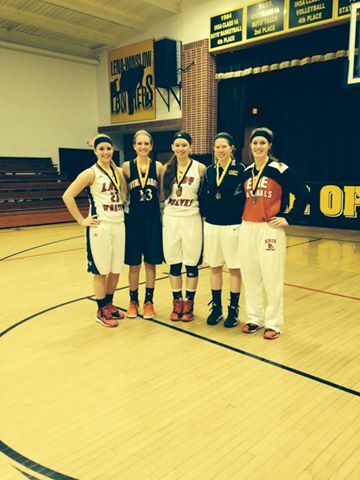 Maddy Williams Makes All Tourney Team! Shout out to Maddy Williams(Winnebago High) for being selected to the All Tourney Team this past week in the Lena Winslow Tourney. Maddy has been playing very strong this season and her hard work in the off season is paying off. Keep up the hard work Maddy!